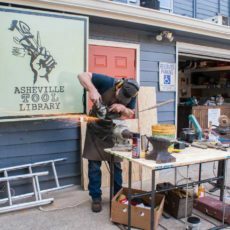 The Asheville Tool Library includes an impressive collection of saws for all your needs. We have compound miter saws, circular saws, jig saws, table saws, reciprocating saws, electric pole chainsaws, hand miter saws, bow saws, wet tile saws, and so many more saws. If you need a hand saw or power saw, chances are we have just the tool for you in stock. Build, cut, remodel, make art, maintain your home, and make what’s too long the right length by checking out just the saw for your project. Don’t forget to measure twice and cut once.